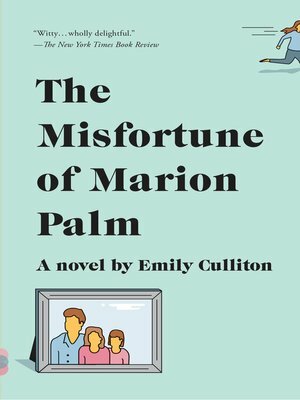 Marion Palm prefers not to think of herself as a thief but rather "a woman who embezzles." Over the years she has managed to steal $180,000 from her daughters' private school, money that has paid for European vacations, a Sub-Zero refrigerator, and perpetually unused state-of-the-art exercise equipment. But, now, when the school faces an audit, Marion pulls piles of rubber-banded cash from their basement hiding places and flees, leaving her family to grapple with the baffled detectives, the irate school board, and the mother-shaped hole in their house. Told from the points of view of Nathan, Marion's husband, heir to a long-diminished family fortune; Ginny, Marion's teenage daughter who falls helplessly in love at the slightest provocation; Jane, Marion's youngest who is obsessed with a missing person of her own; and Marion herself, on the lam—and hiding in plain sight.